Match amazing pictures of bones to their owners. Reckon you can guess them all? This book’s striking graphic design is full of collage pictures of bones and the creatures they belong to. A great way to bone up on bones! You can compare the foot bones of a T-Rex to a human foot. You can learn what a funny bone really is. And did you know that the shape of the Eiffel Tower in Paris was inspired by a human thigh bone? 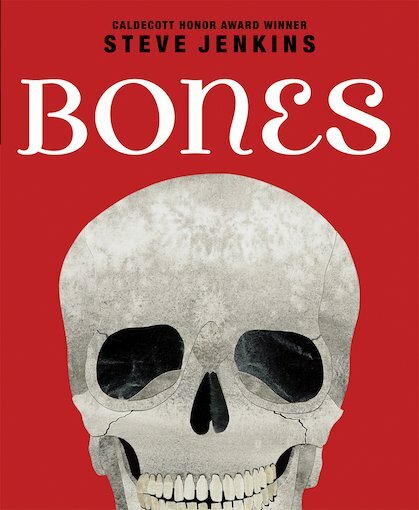 Great stuff by Steve Jenkins, science expert and Caldecott winner. Steve Jenkins was awarded a Caldecott Honor for What Do You Do?.